Cursed With Mom Guilt? Charlie Brown Might Cure What Ails You Whenever writer Yiyun Li feels guilty about her parenting choices, she turns to Peanuts for refuge, holding on to the comforting comic strip as tightly as Linus clutches his security blanket. The job description for a parent should be straightforward: The only requirement is the skill to do everything perfectly under the pressure of guilt. Forget perfectly — even passably can be difficult. For a long time my older son only ate apples: apples for breakfast and apples for lunch and apples for dinner. "Offer him a variety of choices," said the pediatrician, as though I hadn't done that. Guilt. "Feed him ice cream — at least you get some protein and calcium and sugar into his body," said the pediatrician. Guilt. In due time, thankfully, the boy's diet started to change. But as he was weaning from apples, other children his age had already started to join soccer teams. "Soccer," I said to him for weeks, until he said, "Mommy, you only want me to play soccer for your happiness. Not mine." Good insight — so I gave up the idea of soccer. In its place I had doubt, and more guilt. Did I deprive him of an important childhood experience? Did I do him disfavor by not exposing him to an essential part of American culture? And then came my second son, a self-sufficient child who didn't demand a lot of attention. He is a good eater — always — and the ice cream maker retired. He was always smiling, always skipping around at home, always dropping various scientific facts into conversation. He was not interested in soccer, but we had come to peace with that. There must have been a period of time when I felt fairly free of guilt with him, until his teachers started to alarm us about his silence. Thinking back, I had only seen one warning sign. When I picked him up one day from kindergarten, he was wearing a handwritten sign: "I don't speak because I don't want to." Yiyun Li is also the author of Gold Boy, Emerald Girl. Forget about unbalanced diets and unattended soccer games. How can I help this silent, solitary little boy? Where is the line between letting him grow up to be himself and forcing him out of his safety zone so he can participate in worldly life? Another way I failed my children, I thought, running for the shelter of Peanuts. I bought my kids a selection of Charles M. Schulz's comics a few years ago, and all of a sudden an army of children (and animals) joined our family life. The boys laughed and read aloud, discussing the characters between themselves. 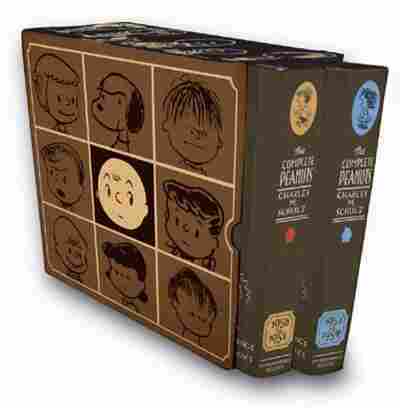 We are on our way to owning the full Complete Peanuts set, and in our household you'll often hear, "Pass 1983-1984 to me," or, "Where is 1950-1952?" Recently I began to read Peanuts with my children. Slow to the enterprise, I laugh at things that have already made them giggle many times. And I must admit: Charlie Brown makes me feel better about myself. It's not your normal guilty pleasure read, I know. It's my escape from guilt, into pleasure. The thousands of strips are comforting in their vastness — the most solid books on my shelf that could shield me, momentarily, from the advancing troop of guilt. Forget apples and soccer games and worrisome silence. Maybe, just maybe, I've done all right. The other day, my younger son said, "Shermy and Violet disappeared and became background characters later." "Yes, that's what you get for being a minor character," I replied. Right away I thought what a heartless comment I had made: "But Shermy and Violet are becoming the main characters of their own stories." But he wasn't listening. He was reading on, giggling to himself, joined by the giggling of his big brother. A friend of mine once described to me her memory of her mother reading Charlotte's Web to her and her little brother: On the day they read to the end, her father came home and was alarmed by the two sobbing children on their mother's lap. Perhaps my younger son — "Let's hope he'll find someone chatty who cherishes him," said one psychologist — would one day have someone with whom to share this memory of reading? Even so, I worry when I exit the world of Peanuts. My oldest son has an alter ego named Marcie, and sometimes he speaks in her voice. Should I worry that his alter ego is a bespectacled girl who is a bit odd, like his mother? The younger boy loves Snoopy and Woodstock — I'm sad to think he connects to two animals in a world full of rowdy children. "Charlie Brown's anxiety has its own anxiety," he informed me the other day. I understand that. Sometimes I feel that my guilt has its own guilt, too. It is a relief, I must say, that my children never think of asking me who are my favorites. If I answer them honestly, would they be surprised, or disappointed, or even terrified? Their mother, when it comes to parenting, feels as insecure as Charlie Brown. And Peanuts has become a safety blanket — one which, like Linus, I'll hold onto despite the shouting of all the Lucys in the world. 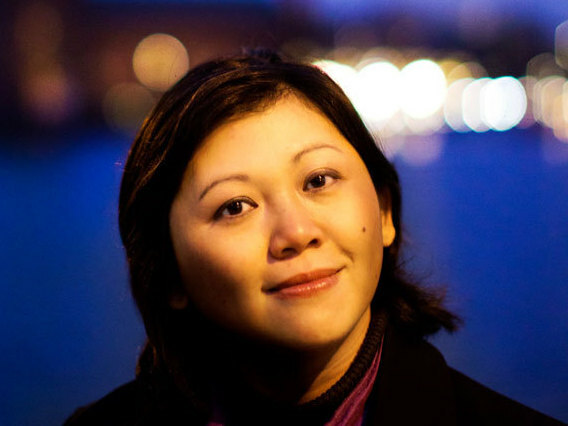 Yiyun Li is the author, most recently, of Kinder than Solitude.